A major complaint about Star Trek: Discovery is that for a prequel set before the original Star Trek it violates so much of what was established in the original series that it should be thought of as a straight up remake. Everyone always brings up the fact the for a prequel the world shown in Star Trek: Discovery is too advanced when compared to Star Trek or that it violates the established canon of this franchise. There is legitimate cause to feel this way and the coy remarks by the show’s powers that be do not help matters, they promise us that the show is set in the Prime Universe of Star Trek. But this has not satisfied many who then online negative posts and videos and proclaim the show is not true Star Trek. Of course, a lot of the criticisms about Star Trek: Discovery are valid, but we should be careful about using the show’s look and canon problems as a reason to dismiss it as something that doesn’t belong with Star Trek. One thing to consider is that throughout its 50-plus years Star Trek and its films and spinoffs have many continuity problems. For instance, in the early episodes of Star Trek there wasn’t a United Federation of Planets. Instead there was a United Earth Space Probe Agency, then it was never clear as to when it took place. 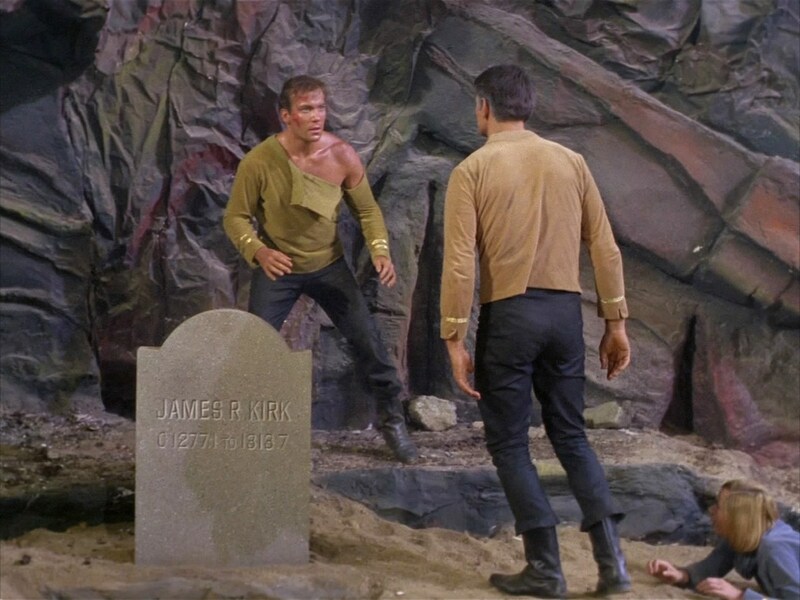 Remember the infamous misspelling of James Kirk’s name in the second pilot “Where No Man Has Gone Before”? The good captain’s middle initial was shown to be R. instead of T.
Then there are the Klingons. In the original show they were basically swarthy humans with actors in brownface portraying them. In the first film and onwards, the aliens were revamped and looked more alien thanks to ridges now showing on their foreheads. This perplexed fans until Star Trek: Enterprise offered an onscreen explanation as to why the Klingons looked so different. And while people love to complain about Michael Burnham being Spock’s unspoken of foster sister, what about his renegade half-brother Sybok? 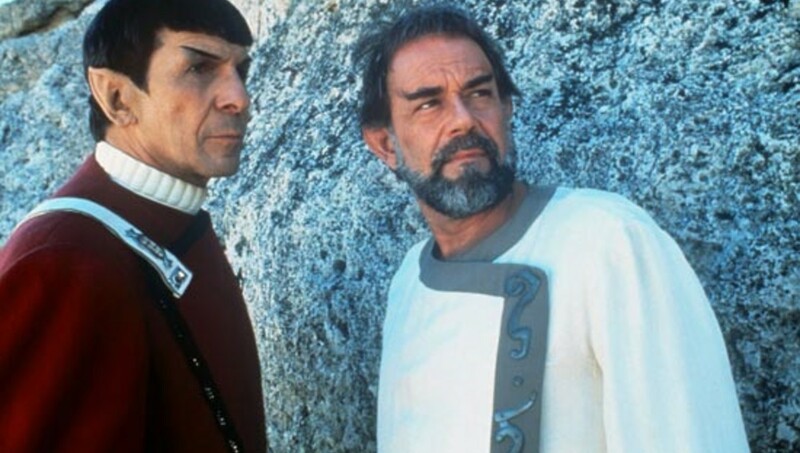 Until the film where Sybok first appeared (Star Trek V: The Final Frontier), Spock’s best friend Kirk didn’t know Sybok existed. It stands to reason Spock never bothered mentioning Burnham. He is a rather private person. We could go on forever with all the discontinuities and canon violations but the point is that Star Trek, while largely following a continuity, had its hiccups. Gene Roddenberry addressed this problem a few times and his feeling was for us to basically ignore these visual disconnects. For instance, he said that the Klingons were always meant to look more alien, but the budget in the original Star Trek didn’t allow this. He was also famous for decanonizing many on-air aspects of Star Trek. He had this view regarding the animated series and parts of the films he didn’t agree with, like Sybok. If one looks at Star Trek: Discovery carefully, it can be seen that there is an effort to keep it within established canon. 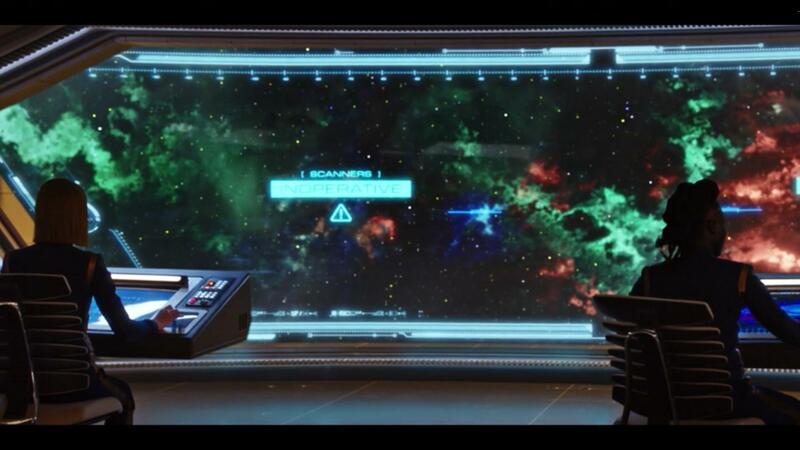 In the recent episode “An Obol For Charon”, Christopher Pike, the captain of the Enterprise before Kirk, orders that the holographic systems be stripped out of the Enterprise and for the crew to use good old-fashioned viewscreens. Another episode retconned the radical new look of the Klingons to bring them more in line of how fans accept them to be and it’s been implied that there are several different races of Klingons. Then there is the matter of the revolutionary spore drive used in Star Trek: Discovery that allows for instantaneous travel throughout the galaxy. More and more, the show is revealing why this propulsion technology isn’t even mentioned in other Star Trek iterations. Who knows, maybe there will be an episode that explains why technology went more analog by the time Star Trek came along. 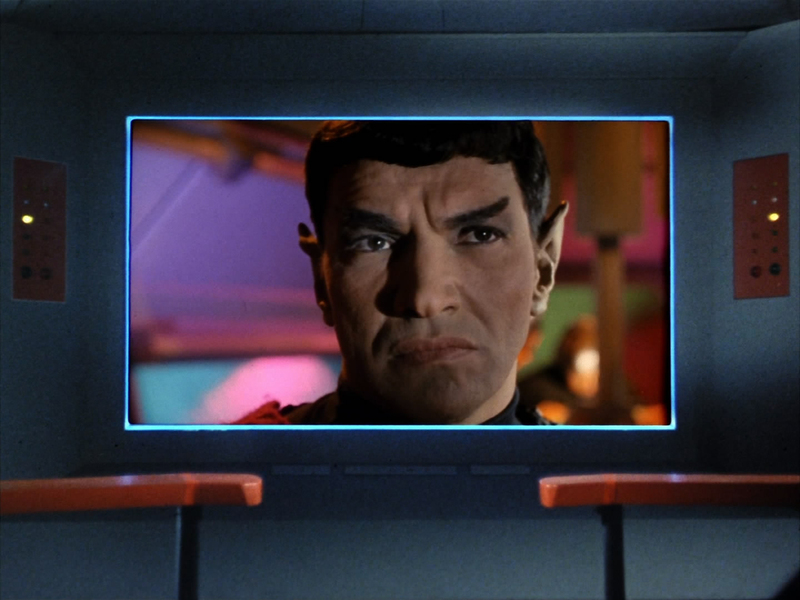 The look of the show cannot be helped since special effects technology has advanced significantly since Star Trek first aired. It would be difficult to convince modern viewers that the antiquated look of the original series is a plausible visual extrapolation of our future. By the 23rd century we certainly would have advanced holographic technology and voice-operated operating systems, heck, we have a lot of this now, which didn’t exist in the 1960s. Trying to present a plausible future is always a challenge since real life has a tendency to contradict that future in the long run. Sure, we Star Trek fans are a nitpicky bunch. We could go on for years exploring the intricacies of this future society and come up with our own extrapolations and excuses for canon violations. But this should not be a reason to dismiss Star Trek: Discovery outright. The first season had rough patches, but recent episodes have shown it to be living up to the standard of Star Trek. If it continues in this trajectory, by the end of the show’s run, the complaints about supposed canon violations and visuals will recede. What an excellent article, it truly nails the issue some fans are having and spending too much time focusing on and debating instead of enjoying (or not) the characters and stories which is what the series should really be judged on. You make several great points and qualify each, Trek and any long running franchise is bound to run into inconsistencies – heck look at how comic books retcon things continuously. Plus, Trek has always made great efforts to unifg everything and tie things together. Again, great piece! Thank you, glad you enjoyed the post. Fans should not get too out of shape with canon inconsistencies not just in Trek but everything else. Even the MCU is starting to have problems keeping things straight. Besides recent episodes of Discovery are making an effort to explain the inconsistencies in the Trek timeline and we have to be patient and see how it bears out. Totally agree, the look and design of TOS is iconic and I love it but have no issue with the lavish design of Discovery as it’s rather excellent and clearly there’s reverence to the history of the franchise even if the tech is more advanced.